TV programs a la carte? 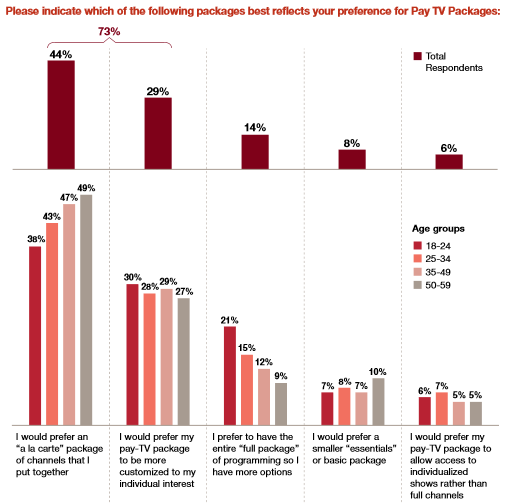 According to PwC research, customers prefer the package of TV programs a la carte. Will we ever get a chance to make a list of programs that we want? “The majority of conversations, in order of volume were: too many channels to choose from, paying for channels that are never watched or unwanted to begin with, and having to bargain with cable/satellite companies to take advantage of offers,” the report noted in its findings.